Welcome to Julestarz! Here is some important information regarding tuition payments and other fees to expect this year. Tuition is due on the first of each month. You may sign up for a recurring payment plan so that tuition is directly debited from your account each month. There is a $30 annual registration fee per student with a family cap of $60 due at the time of registration. The registration fee is charged at the beginning of each season. On Nov. 1, 2018 there is a recital costume fee $75 due per class that you are enrolled in. A $10 late fee will also be applied if payment is not received within the 10-day grace period. This fee is for the purchase of the costume that the student will perform in at the annual Spring Recital. If you choose not to perform, you must notify Julestarz at the time the costume fee is due. We have to order the costumes months in advance to ensure that they will arrive in time for picture day and the performance. On April 1, 2019 there is a recital fee due. This fee will be determined in early Spring once the location and details of the recital are arranged. The recital fee helps cover the cost of renting the facility for rehearsal & recital, production costs, and two tickets per family. If you choose to drop or withdraw from any class at Julestarz, we can do so with a 30-day written notice. You are still financially responsible for tuition during that 30-day period. Tuition, costumes, competition and company team fees are non-refundable. A $25 service fee will be charged for any returned check or electronic debt. We will no longer except checks after the first returned check, you will then need to pay by cash, money order or certified check. 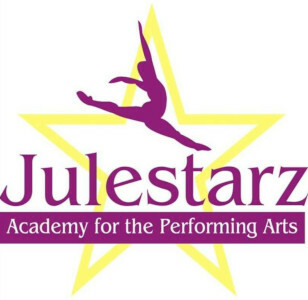 Already Registered with Julestarz Academy for the Performing Arts? New to Julestarz Academy for the Performing Arts? If you have taken classes before with Julestarz Academy for the Performing Arts and you have given us your e-mail address, try the forgot your password link. If not, please contact the office to give us your e-mail address and to set your password.